Official post and a complete list here, but alt-metal veterans Deftones and The Dillinger Escape Plan are co-headlining actually, TDEP are the openers for the 2011 Diamond Eyes tour. Their first show is mid-April in Seattle, Washington. There are a couple of Canadian stops on the first leg (namely Vancouver on the 18th and Montreal on May 4th). The closest they're coming Toronto-wise is Detroit, Michigan. If they're headed your way- even if you've only heard of them- I strongly recommend it. These guys do not disappoint. 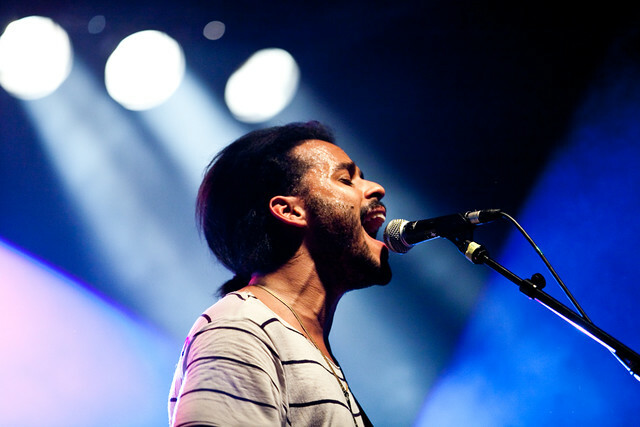 The Horseshoe Tavern will be playing host to George Lewis Jr. (aka Twin Shadow) come Wednesday of next week. The show is 19+, but they don't usually cost much; the only possible concern is maximum capacity at the venue. Also on their way to the Horseshoe Tavern this April 4th is New York indie pop group, Cults. More dates here.